Huffington Post published an article once that describes academic journals as “the most profitable obsolete technology in history”. What’s surprising is that these scholarly writings continue to rake in the profits in this age of digital streaming despite anachronism. For this generation’s students including post graduates, journals are painfully a literary boredom. I guess this is not a new story, style suffers when papers become more valued as professional currency than as a mere expression of the mind. Academic writing needs to be precise, systematic and stated clearly and in detail, leaving no room for confusion or doubt. But in this digital age, can academics have it any other way? The following article posted on Literacy Daily by Gary Moorman and Peggy Semingson suggests ideas that can make scholarly literatures a tad cooler while retaining importance in their corresponding fields. Find out why they believe investment in journals that are more apt for our times will reap great benefits for educators of all ages! There is no doubt digital technology has a dramatic impact on the world of publications and their readerships; it is an impact we can no longer ignore. Online periodicals are quickly beginning to replace print versions. Major newspapers and magazines offer online versions as well as mobile-compatible versions of print media. 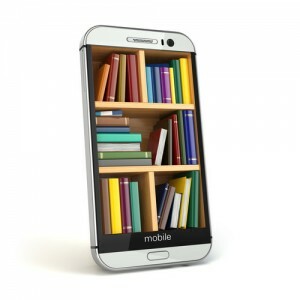 There is a wide array of reading, writing, and publishing tools, all connected through the Internet and mobile devices including not only computers but also electronic readers (e.g., Kindle), smartphones, and tablets (e.g., iPad). In this dynamic environment, academic journals have been slow to change. This void presents a unique opportunity to be a leader in online publications. Print academic journals are way behind in making the transition to online publications: One author refers to academic journals as “the most profitable obsolete technology in history.” A look at an outstanding example of a commercial periodical is informative. We have chosen Sports Illustrated (SI) and its digital platforms to make our point. It is important to note that the comparison is limited: According to Statista, an online database, SI in 2014 had a readership of 19.9 million for print and digital additions, 5.7 million for web (desktop/laptop), and 7.5 million on mobile web. Such a versatile readership provides a huge financial advantage in developing a sophisticated web presence. But the sheer number of digital readers is also noteworthy. Articles often include additional photos and links to related resources and there are navigation tools that help the reader move around within the issue. Of course, not all of these multimodal enhancements would be appropriate for an academic journal, but there are enhancements that would be unique to academic journals. There are currently very few strong examples of what is possible for academic journals. One exception is Hybrid Pedagogy, an open-access, peer-reviewed journal. Among its stated goals are “to interrogate and investigate technological tools to determine their most progressive applications” and to create “an ongoing discussion that is networked and participant-driven, to an open peer-reviewed journal that is both academic and collective.” Articles include many strategic hyperlinks that both support and expand the text and provide readers with technological tools. There is also a strong emphasis on visually oriented layouts. There are direct feeds to Twitter, Facebook, and Feedburner. ILA has a history as a leader in online publications. Three efforts are worth mentioning. First, from 1997 to 2005, the International Reading Association (now ILA), published Reading Online(ROL), an early effort to take advantage of digital technology. ROL was a peer-reviewed, open-access journal. Each article included navigational tools that allowed the reader to move easily within the article and links to other ROL articles, related websites, and the reference list. There was also an active discussion board. The Reading Teacher (RT) and the Journal of Adolescent & Adult Literacy (JAAL) have begun to move toward more interactive and digital publications with mobile-compatible access and the use of social media into and in conjunction with print journals, for instance, inclusion of podcasts to enhance print journal articles and use of Facebook pages connected to journals as a platform to interact with readers. JAAL now features related live Hangouts on Air facilitated by a department editor. ILA journals are eager to feature author-submitted hyperlinked content within articles would well serve a 21st-century readership. All journals need to be more technologically sophisticated to have a strong appeal to younger literacy educators and build a more vibrant literacy community. Authors are encouraged to include online features such as podcasts or related social media interactions (Facebook, Instagram, etc.) in their articles. These interactive digital features could include within-article navigational tools, links to related websites and articles, embedded audio and video, and expanded appendices, graphs, charts, and even links to primary data. Building on the SI example, we share an example of how to foster reader and author interactivity through use of social media in conjunction with an ILA journal print or online article. An ILA journal article could include links to Flickr or Instagram images of the topic being described; readers could participate by contributing additional images that connect to the topic and tagging them. Or, a social bookmarking site such as diigo could include related reading and news that connects with a journal article; readers could add their own resources and links. To foster “real-time” interaction, more live synchronous sessions such as Google Hangouts on Air should be instituted. Tools that would allow readers to interact with authors and other readers should be identified and implemented. ILA already hosts Twitter chats; journals could sponsor them as well within the larger framework. Read full article on Literacy Daily, click here.